e Sandy slammed into southern Ontario on Oct. 27. The harvest was pretty much over anyway, with reports of only a bit of Cabernet Sauvignon still in the vineyard. There’s no word on what will become of that fruit still hanging out there but it’s safe to say it got pummeled by the relentless wrath of the post-tropical superstorm that roared up the eastern seaboard and still had enough punch to put an end to any dreams of late-hanging fruit in Ontario. I am not certain what will become of this year’s icewine crop, but I will wager a beer or two that it will be down significantly. It started with early spring heat that forced a premature bud break. That was interrupted by a late frost that sent vineyard managers scurrying to start their wind machines and those without to hire helicopters to do whatever they could to buy a degree or two of heat. Some even lit fires near the vineyards to heat things up a bit. 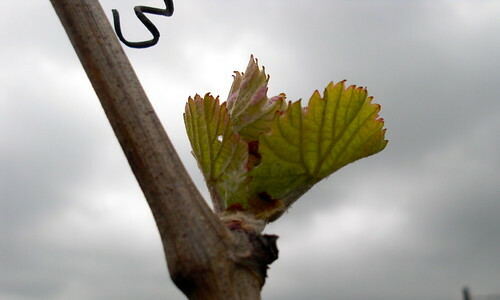 The frost was short lived and the damage was minimal in the long run with only the odd vine showing signs of damage later in the season. After the frost threat, the heat came and never let up the entire spring and summer. Record temperatures, severe drought everywhere in Niagara and one great pool day after another (if you measure a season by pool days like I do) kept vine maturation about three weeks ahead of normal for the entire season. The first grapes came off the vine in mid-August for sparkling wines and the rest of the harvest went like clockwork with one variety after another coming in for the rest of the season. Only a few episodes of rain stopped the picking and, even then, it was only briefly. 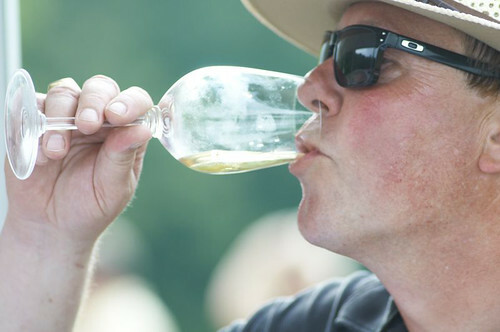 Enthusiasm is high for the 2012 vintage, albeit a little smaller than normal, across the broad spectrum of varieties as winemakers sample their ferments and decide their next course of action. The bigger red varieties such as Cabernet Sauvignon, Merlot, Cabernet Franc and Syrah are usually the beneficiaries of a hot, dry vintage but many are touting the Pinot Noir as being a superstar this year. The high brix (sugar content) on all varieties set records but the test will be balancing that with moderate acidity. 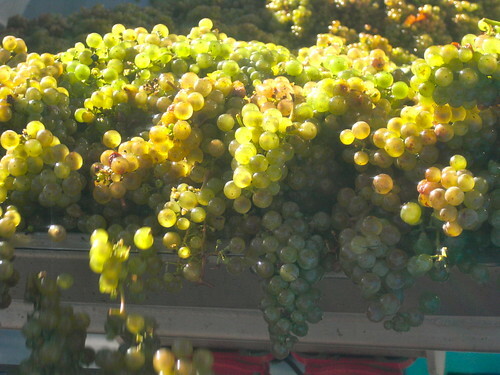 Of the whites, Gewurztraminer will be a star along with Pinot Gris and Sauvignon Blanc. There are mixed feelings about Chardonnay with some very excited about the ripeness. The surprise of the vintage just might be the Riesling. You would assume Riesling would be the most affected by a hot vintage as acid is crucial. But early ferments are showing wonderful complexity, flavours, ripeness and balance. Wineries who picked in stages for acid and ripeness will benefit the most. While too early to declare success, the vintage will be reminiscent of 2010, 2007 and 2002. The difference will be in the lessons learned from those hot vintages and the picking decisions that followed. 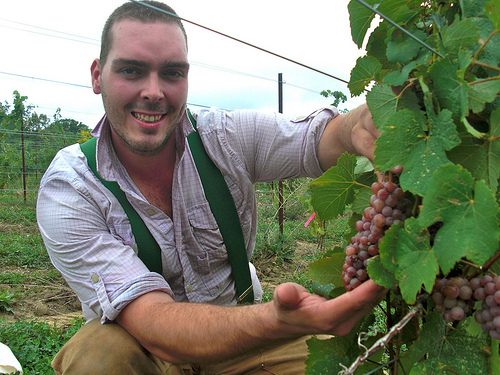 Here are some thoughts from a few Niagara wineries on the 2012 vintage. 2012 was hot and extremely dry. Without access to irrigation, our vines had to tough it out. Though the heavy clay soils helped alleviate it somewhat, we still suffered severe drought conditions. As a result, cluster weights were very low, with an average yield of 60% of normal. To add insult to injury, the heavy rain showers in September caused all sorts of headaches in the Pinots and Chardonnay. All that sun and heat in the summer, however, was very good for ripeness. The reds did especially well, with Cabernet Sauvignon, Merlot, and Pinot Noir being particular stars. We expect the resulting wines will be intensely rich, with big flavours and alcohol, likely surpassing even the 2010 reds. Among the whites, Gewurztraminer and Pinot Gris were the nicest to come in. We expect these wines to be opulent and spicy, similar to the 2010 versions. 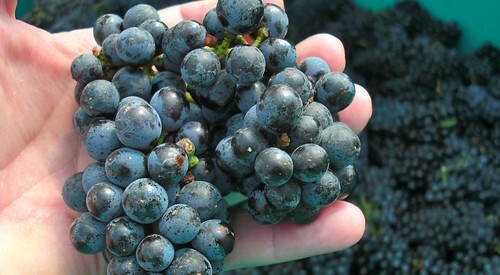 The 2012 vintage will be considered as the benchmark for excellence in fruit quality, yield and ripeness. The last few weeks of crush were idyllic as there was an orderly procession of fruit arriving at the hopper each day that helped to maintain a calm, but energetic atmosphere within the winery. The last of our Cabernet Sauvignon is still hanging (as of last week) and is on the verge of full physiological ripeness. The fermenting juice from each of our varietals was outstanding and our sensory experience from the aromatics that engulf the winery provide us with an indication of the stunning wines we will produce from this wonderful 2012 vintage. This has been my 11th vintage in Niagara, and nothing surprises me anymore about this wine-growing region. Making consistent quality wine in a region with constant change from year to year is a tough deal. 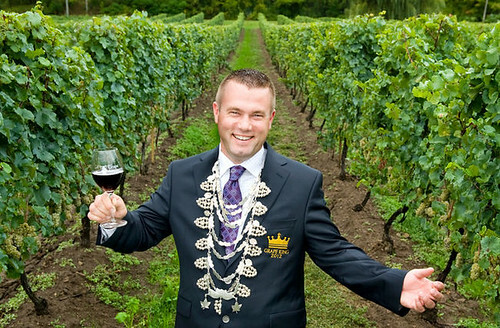 I believe as a winemaker the vintage variation in Niagara is NOT its Achilles’ heel, rather an entrance into the ranks of world-class region. Vintage variation makes wine more transparent, interesting and reflects a sense of place and time. 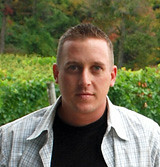 I have great respect for the winemakers in Niagara. There could not be a tougher place on earth to grow grapes. Having said all this, when we do have an exceptional vintage it truly is an amazing thing! What makes me excited about 2012 is all the stars seemed to align like no other vintage in my career. Not often do you experience a year that produces such high quality grapes with good balance in sugar and acidity. This, to me, will be the hallmark of 2012, almost uncanny through all varieties. Phenolic ripeness, balance and finesse! Glad to be apart of it, next year will certainly be a struggle. The 2012 harvest, simply put, is spectacular and we couldn’t be happier with the quality. The 2012 crush for Inniskillin and Jackson-Triggs is nearing completion and should come to an end at all locations by the last week of October with the last of the Bordeaux reds and Shiraz. Weather conditions have been ideal for fully ripening fruit and for harvesting as well. Exceptional fruit has been delivered for this vintage. The aromatic whites show tremendous potential. Chardonnay and Pinot Noir are stunning and there is high potential for excellent Merlot, Cabernet Franc, Cabernet Sauvignon and Shiraz in 2012. 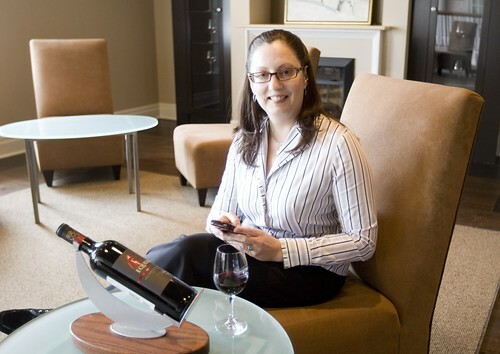 All indications say 2012 could be up there with 2002, 2007 and 2010 as among the finest vintages Niagara has seen. The season started early and with a big frost scare in March. We ran our wind machines for 48 hours straight as a result we didn’t have any appreciable damage. We went ahead and aggressively pruned to manage yields. Given the lack of rain this summer, lower demand on the vine for fruit production may have been a factor in our vines thriving in drought-like conditions. I can’t remember another year when you could walk through the vineyards in June and see cracked earth. Normally that happens in August. Still, we didn’t irrigate. 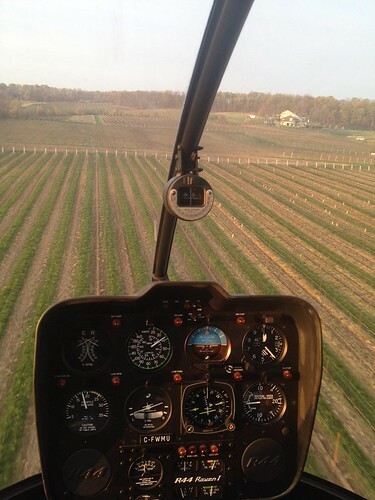 We stepped up our mechanical soil aeration and made sure the vines had enough nutrients. Harvest began early September. The last of our Cab Sauv came in on Oct 22. Lots of hang time and terrific Brix. Our Bordeaux varietals were 24+. Yet when we pulled aromatic whites early in the harvest the flavours were explosive. Early tastings of Sauv Blanc were dynamite. And … look for a Nouveau from our Generation Seven series so you can really taste what 2012 was all about. It’s plush and really yummy! As in any warm year, I was pretty suspicious of how the quality of Pinot and Char would be turn out. Past experiences showed me that sometimes we are lacking acidity or the hang time is not long enough to get the right phenolic ripeness for Pinot Noir. But, as Niagara likes to be mysterious, this year was again different than any vintage we had the last five years. We started to harvest our Pinot on Sept. 6 for our new plantation and we then fully went into harvest on Sept. 10 with the Le Clos Jordanne Vineyard. Our Pinot was picked between 22.5 Brix and 24 brix. The quality of the grapes was really good and we had only around 5% of the fruit on the sorting table. The colours were already bright and dark after few days of cold soaking. The pH was surprisingly low for a hot year and was key to preserve the balance of such a tannic year. Alcoholic fermentation was surprisingly fast, according to the low amount of nitrogen available. For my point of view, the key things during this vintage was to try to keep balance and elegance on the Pinot Noir without too much extraction or dry fruit aromas. So we managed to keep temperatures fairly low and we tried to keep a really gentle extraction especially toward the end of the maceration. We have all the Pinot in barrels with about 1 g/L of malic acid to degrade. I’m overall pretty confident of the quality of the Pinot this year. They might need extended aging in order to integrate tannins and elaborate the elegant bouquet. The Chard was very clean. By foreseeing this warm vintage coming up, we left a higher crop of Chard and we didn’t do any crop thinning or green harvest. We wanted to delay the ripeness in order to manage long hang time, lower brix and higher acidity at picking. 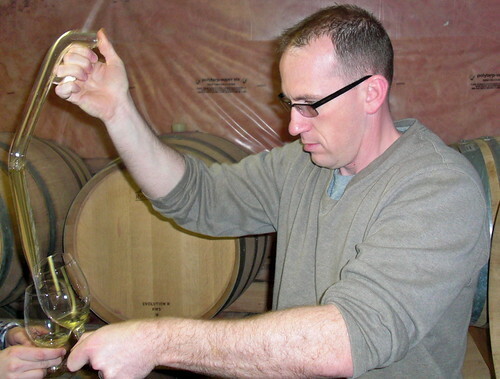 The Chard was whole cluster pressed like usual and then did their fermentation in barrel at about 15% new oak. Once again, Chard in a warm year, alcoholic fermentation occurred really fast and was done in about 2 weeks. Like our Pinot Noir, pH stayed naturally pretty low after fermentation and we ended up with Chardonnay, which is still really fresh and citrusy before they started their malo and aging. I’m confident that we will be able to preserve freshness and tension in such a hot vintage. The 2012 vintage was Fast and Furious, much like the Hollywood movie, it was fast paced and action packed with all-star grape quality, and had some drama (light rain events). Overall this vintage is one of the best we have seen at Rosewood in our short history in Niagara. Crop volume came in as expected in terms of weight, but the sugars across the board exceeded our expectations. We broke personal brix records for Chardonnay, Sémillon, Pinot Noir, Cab Franc and Merlot. The overall phenolic ripening was also exceptional. The wines are showing great flavour profiles, ripeness, structure and natural tannins. Acids are a bit lower than average, but nothing to be worried about. We are very excited to see what these wines will shape into, for both the whites and reds. No doubt, with the amount of summer heat and sun received, it was a red vintage, the whites, however, are showing great promise. All in all, it was an exceptional vintage. The vintage was extremely early and young vines that were not irrigated suffered some drought stress. Picking decisions were very important, as although fruit might have had sugar ripeness, phenolic ripeness lagged and that required patience. Late-ripening varietals, for example: Cab Sauv, Cab Franc and Syrah, may be diluted due to sandy rains. The picking date will be important. Pre or post Sandy? Hidden Bench picked last Thursday (Oct. 25) and we were very lucky with that decision. Overall we’re happy with the vintage but it is too early to pronounce how great it is. My personal opinion, the potential is with Chard, Riesling and Bordeaux blends. It’s too early to tell with Pinot Noir as it was very ripe with lower acids! 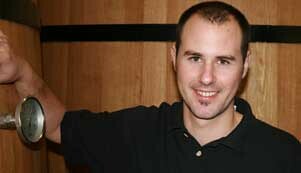 Similar to 2007, but winemakers now know how to adjust to deal with this type of vintage and not over extract. I don’t like to speculate to early on about the harvest until it’s in the bottle. Declaring “Vintage of the Century” every year we have nice weather get’s a bit old in my opinion. From our standpoint it was straight from bottling to “yikes” everything is ready we gotta set up the Crush Pad ASAP! The first few weeks we logged some very long days and nights to get everything off clean. As usual, short term pain for long term gain! After that it was pretty much stress free (big gap between picking whites and reds) – little disease and pest pressure, which makes life easier. Richie and Kristen were very happy with our numbers and we look forward to watching what the reds in the barrel do over the next few years. Whites look quite stellar also. The 2012 vintage moved fast at HOP this year. We had a long, hot summer with very little rainfall, which led to our first load of grapes arriving much earlier than anticipated. Our Short Hills Vineyard Baco Noir was the first through the gates, as well as some from our block 109 nearer the winery. The sugars were at 23 Brix, and this was only on August 24th! Talking to Matt (Speck) at this time, he estimated that we were at least two weeks ahead of schedule. I’d gone to sample some Pinot Noir and Chardonnay for sparkling not even two weeks before; the blocks with some clay soil looked cracked and the vines needed water. It was hard to believe that harvest was around the corner when we were still bottling the previous year’s Estate Pinot Noir and Cabernet Merlot. By the 30th of August, all of our sparkling fruit was in. We’d harvested 46 tonnes of sparkling, and 232 tonnes of Baco was in of the 331 tonnes that we would eventually total for the variety. Pinot Gris did quite well this year; the skins showing the dark grey-purple that the variety is named for. The heat and rapid ripening meant that we had to allow a little longer time for the juice to soak up the aromatics from the skin—walking through the cellar when Pinot Gris and Gewurz fermentations picked up meant being surrounded by these fantastic aromas. Tasting and blending for the wine slated to become the HOP Pinot Grigio was a real treat — the wines have minerality, ripe yellow-orange fruits and hint of spiciness and florality. Show stoppers. Pinot Noir was excellent this year as well — we did get a little bit of rain here and there, but the mildew pressures were fairly low, so we didn’t see rapid breakdown or accumulation of VA as occasionally happens with this sensitive variety. Highly appreciative of the rains we did get, our Estate blocks were harvested from September 16th to 19th, have so far displayed wonderful depth of fruit, and the essence of the soils in which they grow. We’ve only just barreled them down a few weeks ago, in varying ages of French oak, and under an attentive eye will spend their time maturing into truly exemplary Niagara Pinot Noir. The Chardonnay from our farms waited patiently as the harvest rush picked up. We had the chance to sample, assess and then proceed with bringing in yet more awesome fruit for our HOP, Estate and SFR wines. The latter two are barrel fermented wines, so as soon as the juice was settled and racked, a portion of the juice was sent to barrels for fermentation — some French, some American and Eastern European oak. We have a lot of different oak, and through yeast selection, tasting the juices and choosing the barrels, we can make a really dynamic and complex Chardonnay — this is one of the best grapes in Niagara. After the i4C event (International Cool Climate Chardonnay) in early September, there was no shortage of inspiration to make great Chardonnay from another great vintage. These wines have gone through a long fermentation underground in the barrel cellar — perfect for building a good structure that allows the wine to age well. 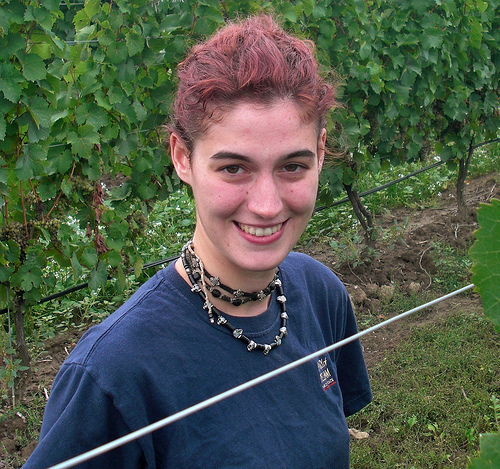 Some more reds arrived — Gamay and Merlot — and managing the tank space really became key. The Bacos were done primary fermentation and were ready to be pressed, which meant more room for receiving other red grapes. We shifted and moved around a lot of volume, and kept an eye on the horizon for the new Pellenc destemming and sorting system, to be used with our Bordeaux reds. The sort and destem using this needs to be done on hand-harvested fruit — so we saw great, ripe clusters of our Estate block fruit rolling through this new machinery — it was pretty exciting. When the Pellenc arrived, we set up and started calibrating the machine to drop out any fruit that didn’t meet standards — optically, the machine compares the fruit to our set guidelines, and drops out anything that doesn’t make the grade. At the same time, the berries are plucked individually from the stems and sent tumbling down the rollers towards the chute. Keeping the berries whole and the must clear of as many stems and leaves as possible ensures that we make fruit-forward and juicy reds, and through good cap management the colour is extracted. The system worked quite well not only to sort the fruit but also keep it intact — treating the fruit gently when receiving it is the best way to make quality wine. Rather than putting all these berries through a ‘wood chipper’, using the new equipment is much more like taking all the best berries from the cluster between your fingers, and lightly breaking the skin on each. If this is moved up to a scale of several hundred tonnes of red wine grapes, it’s an impressive process. Cabernet Franc from this year is deeply coloured, peppery, smooth, and yielding ripe, focused fruit. It really excelled, but the ever-challenging Cabernet Sauvignon will be fantastic as well, boasting black cherry and shaved chocolate with firm tannin. 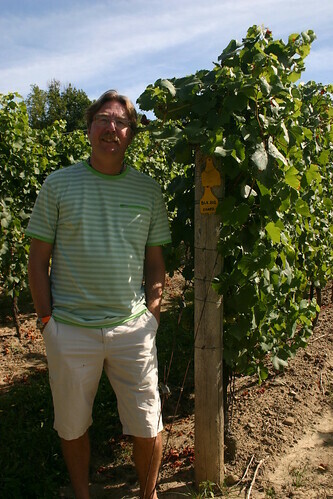 Usually this variety struggles in Niagara vintages, but since everything was so ripe so early, it developed well on the vines, so the wines have a great balance and long finish. A good article on the Pellenc setup is on the Wine Business Monthly website here. In total, our tonnage this year was healthy with outstanding quality. We received around 200 mm of rain from August to October. The daily average temperature climbed from May to July and then gradually dropped into October—perfect conditions for phenolic maturity to be reached, natural sugars to accumulate to reach desired alcohol levels, and also to preserve the natural acidity of Ontario wine grapes. Look forward to the wines of 2012 to be telling of a fantastic year at HOP.